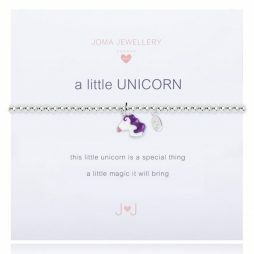 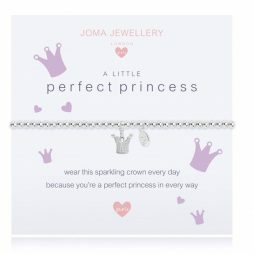 Joma Jewellery Girls is a fabulous British designed collection of silver plated children’s bracelets and necklaces. 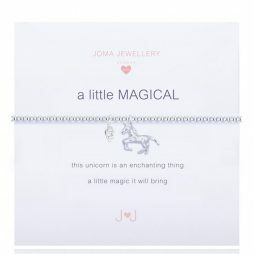 The brand new ‘a little’ Collection is busting with magic and sparkle, from fairy queens to happy penguins, with the sweetest of sentiments to create the perfect stocking fillers and Christmas gifts this winter. 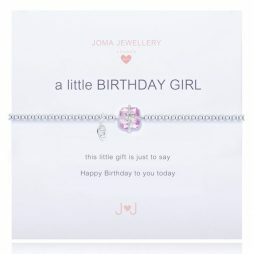 Some of our favourites for those closest to you include the ‘special daughter’ and ‘lovely niece’ from the gorgeous new Autumn Winter 2019 ‘a little’ collection of bright and colourful charms. 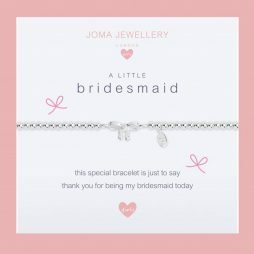 All Joma Jewellery is lovingly presented for you in a pretty white Joma Jewellery ribbon tied gift bag with free gift tag. 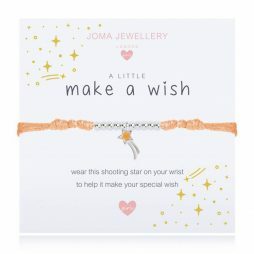 A sweet girl’s bracelet, with the sentiment, “wear this little tassel for all to see you’re a princess that loves to party”, on a white gift card. 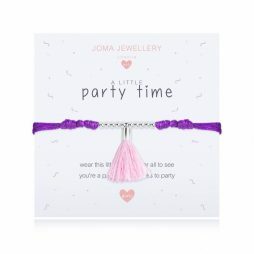 This bracelet features a light pink tassel charm on an adjustable, purple thread bracelet. 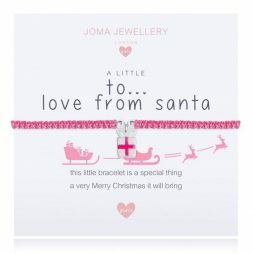 This children’s bracelet is the perfect stocking filler, with the words “This little bracelet is a special thing a very Merry Christmas it will bring” featuring silver plated gift charm on a pink thread adjustable bracelet. 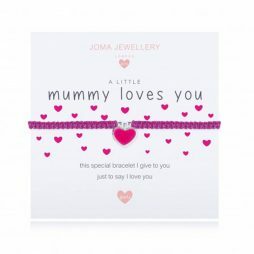 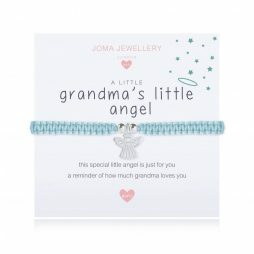 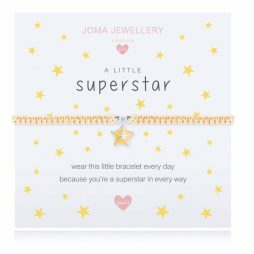 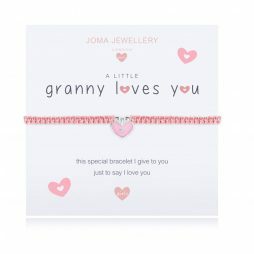 Joma Jewellery Children’s A Little Big Sister Bracelet. 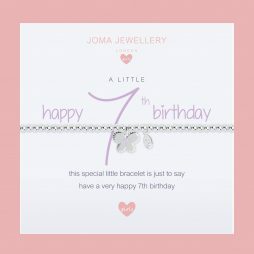 The perfect gift for little sisters and little brothers. 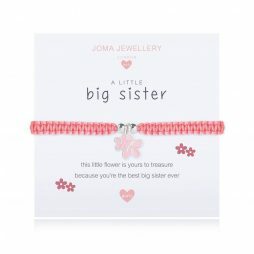 Because all girls are made from magic and sparkle, this pretty double flower bracelet is the perfect way for any sibling to say “This little flower is yours to treasure because you’re the best big sister ever”. 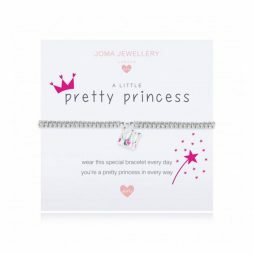 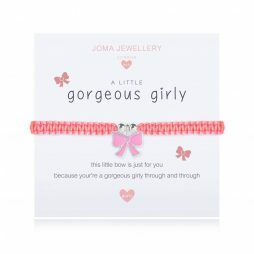 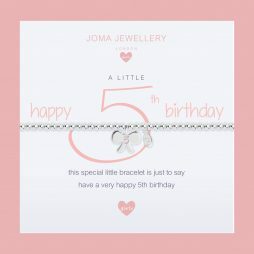 Just for little girls, this brand new Joma Jewellery Girls A Little Happy 5th Birthday Silver Bracelet is perfect way to say “This special little bracelet is just to say wishing you a very happy 5th birthday”. 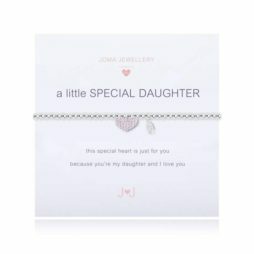 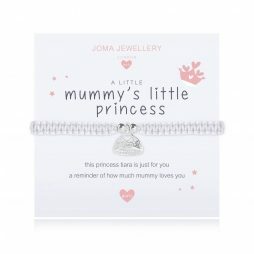 Joma Jewellery Girls a little Special Daughter Silver Bracelet. 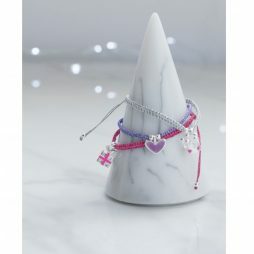 Beautifully crafted from tiny silver plated beads and adorned with a soft pink sparky heart charm, this a little Special Daughter bracelet has to be one of our favourites this season.